Ok, so I know we don’t all live in a stately home, but there are some great tips here that enhance the grandeur and elegance of any home. Enjoy! The UK is renowned for its wealth of magnificent stately homes, with tourists from all over the world coming to visit some of the more famous structures. From Chatsworth House in Derbyshire,which was made famous for being the home of Mr Darcy in 2005’s Pride and Prejudice, to Knebworth House in Hertfordshire, which is colourfully referred to as the ‘stately home of rock’, the UK treasures these properties. However, for those that fall into disrepair they can be brought back to their former glory with just a few simple steps. The stately homes portrayed in popular television dramas such as Downton Abbey are graced with huge ornamental gates. These gates provide a touch of elegance to the property and can wow guests as they approach the building. They set the tone perfectly which can be continued through the rest of the home and can be delivered in a range of styles to suit the taste of the owner and the house itself. Developers can strike a balance between modern and contemporary in the models they choose. The gates can be automated to give a really impressive feel when a person drives up to the property. Jacksons Fencing provides a range of ornamental gates that can be customised to the purchaser’s preference. 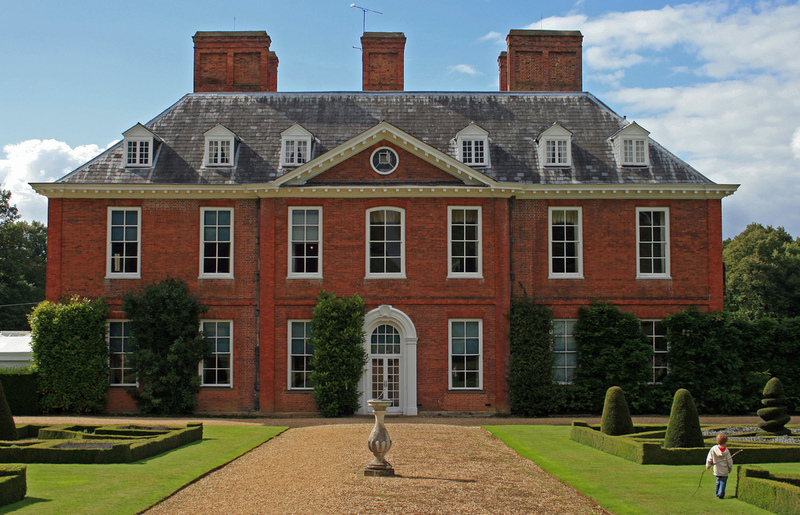 Security is of the utmost importance when bringing a stately home back to its former glory. Automated ornamental gates that can be controlled remotely and, while being aesthetically pleasing, they also give off the message that the property is secure. Due to the large grounds that these stately homes command there is the need to ensure that the perimeter is sufficiently secured. Installing metal railings and security gates all around the property can deter opportunistic burglars while still maintaining a pleasing look. Striking the right chord from the second a person sees the property is highly important. An impressive driveway is a must and can be created by considering the installation of a striking frontage. The driveway can set the tone for the rest of the property and every stately home needs a complementing feature to go alongside the ornamental gates. The entrance could include aspects such as a water feature or there is the possibility of changing the course of the road, making it windier as to see more of the house. Stately homes are renowned for their colour schemes and dazzling interior and exterior designs. By making a statement on the outside of the property with the traditional ornamental gates it then needs to carry through the home and around the grounds. There is room to be creative in this respect as the house may need a splash of modernisation to bring it back to its former glory. This can be achieved with the implementation of CCTV which will also give that added sense of security and will be instrumental for allowing a stately home to thrive once again. Nice post! A five star rating for the full renovation of homes. Great tips Jen.I too think the gates are very important to the overall look of the house and property. They might even be more important than the house from this point of view. Big classy gates always have the desired effect.